A word from one of our sponsors. We just received an e-mail from Jeff Kuo, CEO of Xetum. A San Francisco based watch company that we’ve been following since the early start. The new automotive-themed Xetum timepieces will be officially introduce by the end of March. 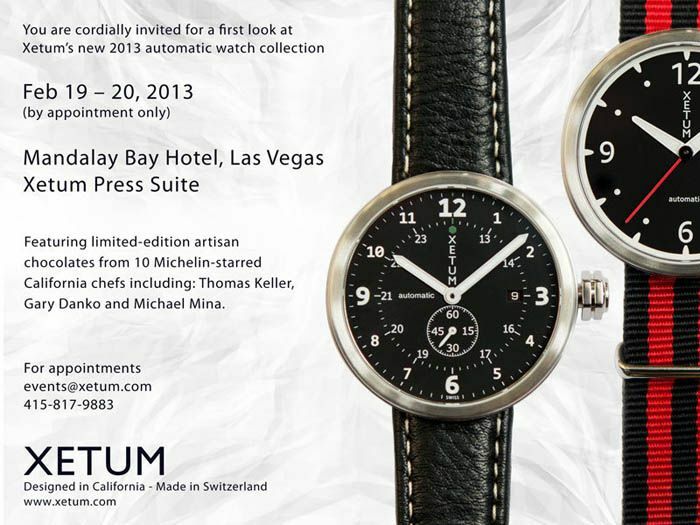 Xetum gives you the opportunity to have a sneak-preview at the Mandalay Bay hotel in Las Vegas on February 19 and 20!